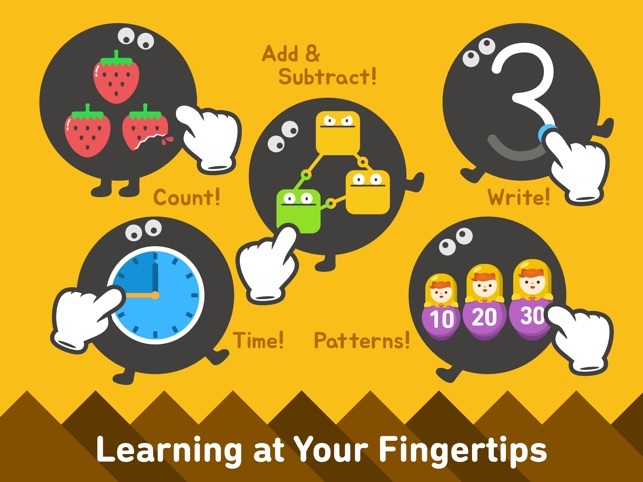 Summary : Early Numeracy Practice Made Engaging! 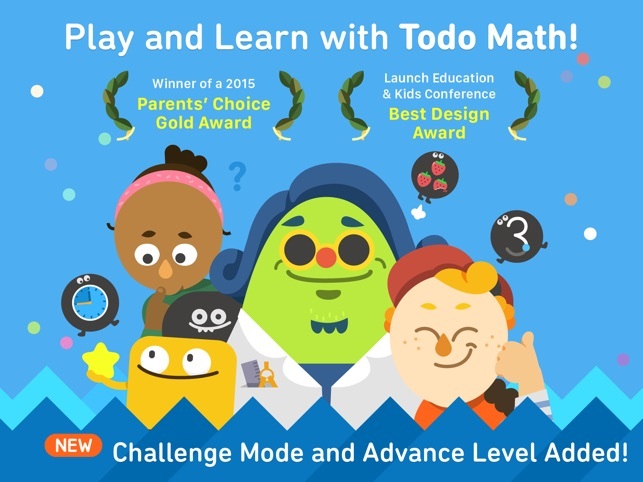 Todo Math contains multiple exercises that develop users’ early numeracy skills. After launching the app, users must register and select the app’s settings, which include dominant-hand selection and font used, among others. Next, users can either select the “Mission” or “Free Choice” option. The “Mission” option guides users through a series of activities that become increasingly rigorous, while the “Free Choice” options allows users to select the type of activities that they are to complete. 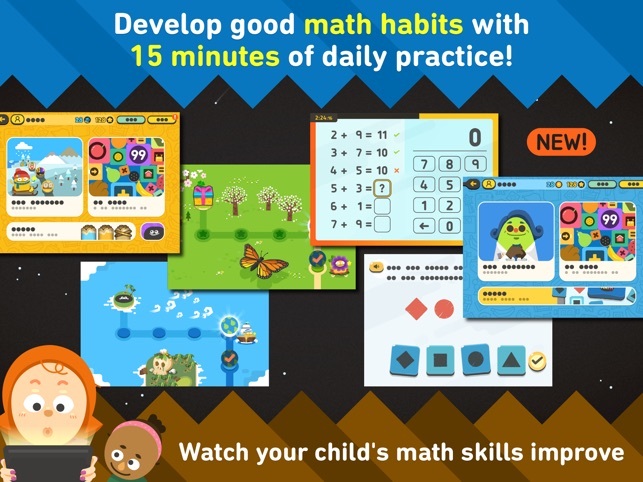 In both scenarios, users are shown a math problem and must answer it correctly by dragging an object or number into the correct area on the screen. 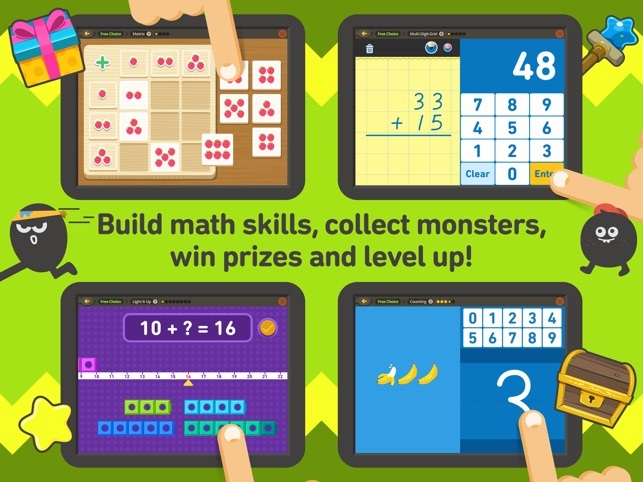 The selected topic will impact the type of activity that users are to complete, and the topics include Counting and Cardinality, Number Operations, Mathematical Reasoning, and Time and Money. Each topic contains multiple activities, and users are awarded stars based on their performance. Teachers can reserve class time for students to complete the exercises in this app independently. While students are completing the exercises, teachers can make sweeps of the room to monitor student progress and answer any questions. After students have completed all the activities for a topic, teachers can have students complete practice problems that are pencil-and-paper based. By doing so, teachers can assess if the skill transferred. After students complete an activity in a topic, teachers can ask students to explain the activity that they completed. Sample discussion prompts include: (1) What skill did you just work on? (2) Were the activities challenging or easy to complete? (3) Do you think you need more practice with that skill? 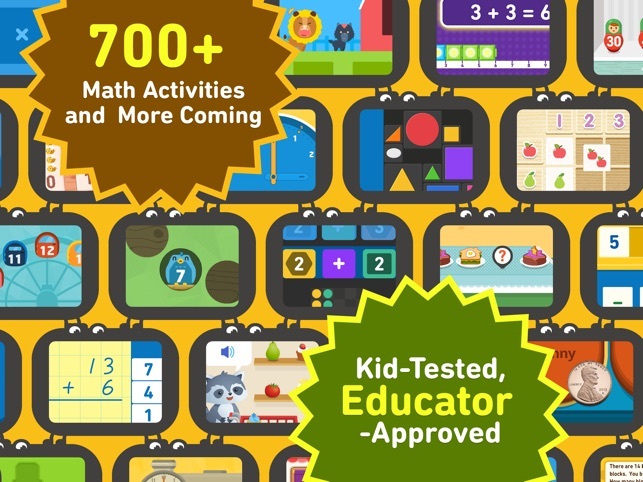 For homework, teachers can have students complete one activity a day or one topic a week. Teachers can explain to parents during open-house night, conferences, or via email that these activities will be assigned regularly.